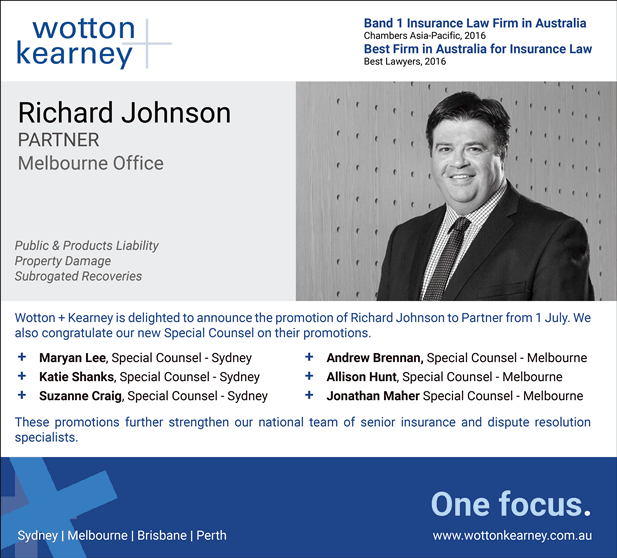 We are delighted to welcome Richard Johnson to partnership, effective from 1 July 2016, as announced in The Australian today. Since joining W+K in February 2015, Richard has made an impressive impact on the firm and the broader insurance industry. Richard’s areas of expertise include Public & Products Liability, Property Damage and Subrogated Recoveries. He has been instrumental in his advice to insurers in relation to a number of complicated indemnity issues with respect to liability and property damage claims.